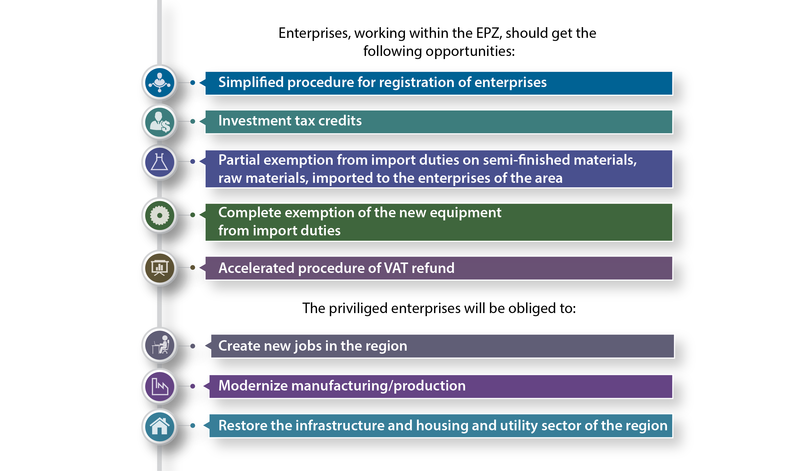 Creation of Export Processing Zone (EPZ) on the territory of the region, which will be oriented on both the CU market, and the EU market, which will allow Donbas to recover the economy, to preserve old and to create new jobs. – Partial exemption from import duties on semi-finished materials, raw materials, imported to the enterprises of the area. 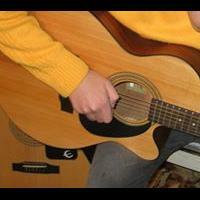 – Complete exemption of the new equipment from import duties. – Accelerated procedure of VAT refund. 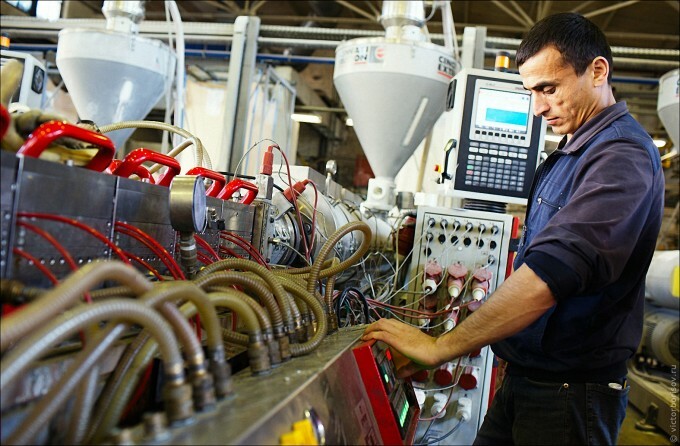 – Create new jobs in the region. – Restore the infrastructure and housing and utility sector of the region. The implemented measures will result in the rise of investment attractiveness and business activity in the region. 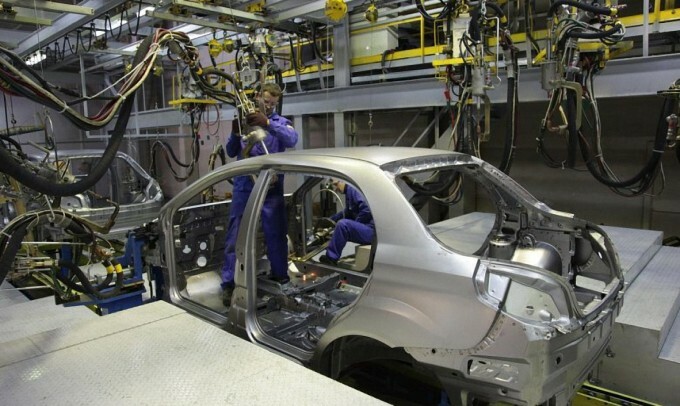 Investors and big industrialists will be interested in reconstruction and modernization of worn-out infrastructure. The volume of foreign exchange earnings will surely increase against the background of possible reduction of tax and customs budget payments. 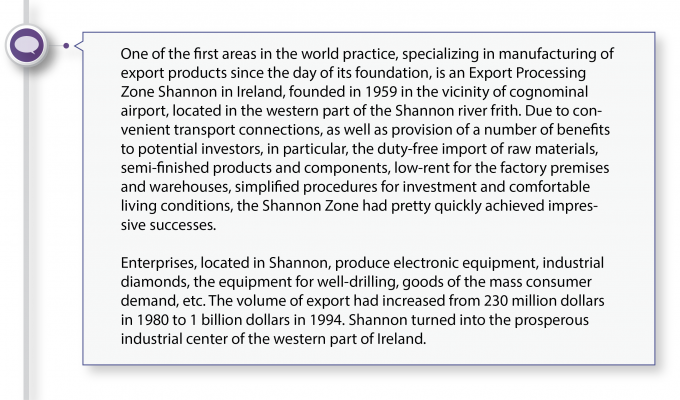 One of the first areas in the world practice, specializing in manufacturing of export products since the day of its foundation, is an Export Processing Zone Shannon in Ireland, founded in 1959 in the vicinity of cognominal airport, located in the western part of the Shannon river firth. Due to convenient transport connections, as well as provision of a number of benefits to potential investors, in particular, the duty-free import of raw materials, semi-finished products and components, low-rent for the factory premises and warehouses, simplified procedures for investment and comfortable living conditions, the Shannon Zone had pretty quickly achieved impressive successes. Enterprises, located in Shannon, produce electronic equipment, industrial diamonds, the equipment for well-drilling, goods of the mass consumer demand, etc. The volume of export had increased from 230 million dollars in 1980 to 1 billion dollars in 1994. Shannon turned into the prosperous industrial center of the western part of Ireland.